A report (pdf) issued this week by the Texas Legislative Budget Board predicted that Texas' prison population will increase over the next several years if policy reforms aren't enacted to reduce incarceration rates. "The correctional institutions population is expected to increase moderately, 3.2 percent over the projection period, from fiscal years 2013 to 2018. This increase is due primarily to increasing admissions to correctional institutions," said LBB. This growth is actually less than the projections from several years ago, thanks to legislative reforms to the state's probation and parole systems, but there's clearly more to be done. Which felons go to prison, which ones get probation and who is even charged are all local decisions. According to the Office of Court Administration, felony convictions in Texas courts increased by 17.9% in the last ten years, from 92,838 convictions in FY 2002 to 109,487 convictions in FY 2012. Those upward trends jibe neither with declining reported crime (index-crime rates per 100,000 inhabitants down 25% from 2002-2011) nor the public's perception in crime victimization surveys. Instead, Texas DAs are prosecuting ever-more felons despite a reduced pool of criminals. Prosecution in Texas is a growth industry. Welcome to Ham Sandwich Nation. The Legislature can't control elected DAs and judges, but it does have both direct and indirect means to set the parameters of local decisions. Indirectly, as was done in 2007, the state can provide mostly financial incentives to counties to supervise more offenders on probation instead of sentencing them to TDCJ. The Texas Public Policy Foundation has bandied about suggestions of sharing "savings" with counties for felons supervised on probation instead of being sent to prison. But as long as prosecutors' discretion looms so large, the quickest way to halt increased admissions is to alter punishment levels, which have historically operated on a one-way upward ratchet. The most direct approach would be to ratchet down drug possession penalties one notch and/or index property crime thresholds to inflation, measures that would actually reduce admissions by bringing punishment ranges in line with the relative seriousness of the offenses. It's not impossible, but the status quo is unsustainable. The Legislature hopes to close two or more prison units this session to cut costs, but unless they find a way to curb front-end increases in the number of felony convictions, they'll need to shop for more bed space just a few years down the line. The LBB report gives them a schedule to meet: The time for dabbling is past. The tenor of all these stories may be summed up by state Sen. Judith Zaffirini, who said in a statement, "Banning texting while driving will undoubtedly save lives." There's only one problem: It's not true. "Texting bans haven't reduced crashes at all. In a perverse twist, crashes increased in 3 of the 4 states we studied after bans were enacted. It's an indication that texting bans might even increase the risk of texting for drivers who continue to do so despite the laws," says Adrian Lund, president of both [the Highway Loss Data Institute] and the Insurance Institute for Highway Safety. Lund said of lawmakers proposing such bans, "They're focusing on a single manifestation of distracted driving and banning it. This ignores the endless sources of distraction and relies on banning one source or another to solve the whole problem." Why might texting bans increase accidents? IIHS suggested that drivers, particularly young people, may be "moving their phones down and out of sight when they texted, in recognition that what they were doing was illegal. This could exacerbate the risk of texting by taking drivers' eyes further from the road and for a longer time." Indeed, "Using a driving simulator, researchers at the University of Glasgow found a sharp decrease in crash likelihood when participants switched from head-down to head-up displays. This suggests that it might be more hazardous for a driver to text from a device that's hidden from view on the lap or vehicle seat." Bottom line: Texting bans have simply not had the desired effect. "Survey results indicate that many drivers, especially younger ones, shrug off these bans. Among 18-24 year-olds, the group most likely to text, 45 percent reported doing so anyway in states that bar all drivers from texting. This is just shy of the 48 percent of drivers who reported texting in states without bans." I'm not surprised that legislators continue to push the ban despite such evidence. The go-to move for legislators whenever something occurs they don't like is to pass new criminal laws or seek to increase punishments, and if the only tool you own is a hammer, everything looks like a nail. Grits does find it disappointing, though, that not one media outlet in the whole state offered up the caveat that such a law may do more harm than good. Zaffirini said that if the governor vetoed this legislation again he'd have “blood on his hands” but it's entirely likely, if the Insurance Institute's analysis is accurate, that Rick Perry's veto of the texting ban actually saved lives. You'd never know it, though, if you receive all your news from the Texas MSM. Former Texas House Corrections Committee chairman Jerry Madden will be joining the "Right on Crime" team at the Texas Public Policy Foundation to press the Legislature for criminal-justice reform. Splendid! A match made in heaven. Congrats to Madden and TPPF on this happy news. See the announcement and other news about TPPF's criminal-justice efforts in the latest Right on Crime campaign update. The Austin Statesman and the Dallas News both have features today on police pension funds. In Austin, the issue is alleged conflicts of interest among trustees. In Dallas, high-dollar travel by pension managers. Glad to see more scrutiny in this area. A pair of Houston police officers have been arrested and charged in federal court with escorting drug shipments for a Mexican cartel, potentially facing life without parole. You've heard the Man in Black's albums from Folsom Prison and San Quentin, but did you know Johnny Cash's first prison concert was in Huntsville, TX? I didn't before reading this excellent, lengthy BBC item on "Johnny Cash and his prison reform campaign." Readers may recall that the Texas Attorney General seized control of the assets of a scam charity that claimed to be raising money for families of dead Texas state troopers. However, "Lawyers for the Texas attorney general's office said Monday that a “cloud of procedural impropriety” is casting a shadow over the pending sale of the former Texas Highway Patrol Museum, and they recommended that the building be put back on the market," reported the San Antonio Express-News. In Dallas, former drug court Judge John Creuzot is contemplating a run against District Attorney Craig Watkins in the 2014 Democratic primary. At the Texas Tribune, Brandi Grissom has more details on the Texas Association of Business' new-found dedication to criminal justice reform. See Google's latest transparency report revealing how often law enforcement requests user data from the company and how frequently they comply. Google recently began requiring warrants signed by judges before releasing cloud-based email content held by the company, and to their credit, Yahoo!, Facebook, and Microsoft have said they'll follow Google's lead. Federal law allows law enforcement to access cloud-sourced email communications that are more than 180 days old without a warrant, so these companies bucking Congress and it's unclear as of yet whether the courts will endorse these pro-privacy stances. In Britain, a company is marketing a "gun" for use in riot situations, though one can imagine other applications, that "shoots criminals with DNA tags, marking them for later arrest." To apprehend them later, "Portable readers equipped with ultraviolet light scanners would be able to verify the synthetic DNA." One practical glitch: "The pellets come in rifle or pistol form, containing 14 pellets per container. All pellets in a pack have the same DNA code. That means you could tag a lot of people at one event, but you couldn’t necessarily single him or her out in the crowd--so it would still be hard to tell who may have incited a riot, rather than just taken part." I guess that means they'd have to arrest everybody. Ugh! The Dallas Morning News on Friday ran an editorial I authored on the need for legislative action to provide greater oversight and transparency regarding law enforcement's access to GPS tracking data from cell phones and other electronic devices. The column appeared behind their paywall, but I've reprinted it below the jump. Throughout the time Jonathon Salvador worked as a controlled substances analyst at the Texas Department of Public Safety (DPS) crime lab in Houston, he was never a particularly competent employee, said Commissioner Sarah Kerrigan who headed the FSC investigation. Salvador was terminated when it was discovered he reported the contents of a batch of pills without testing them, substituting data from another sample. (To its credit, the agency self-reported the incident to the FSC as soon as it was discovered.) Upon retesting his prior three months of casework, DPS found four other cases requiring corrective actions, including one where he'd incorrectly identified a substance as marijuana. Since no one knows how often he may have made errors or falsified evidence, all convictions based on his analyses are potentially in jeopardy. The Harris County Criminal Appointment system is controlled by the judges. It is their creation and it is a wretched creation. Favored lawyers who are known to move cases are given an obscene number of court appointments. Lawyers who work hard on cases, who do their job are given a much smaller number of cases. The result is a small group of lawyers, handling an exceedingly large number of cases. Likewise, the result is a large group of lawyers, who are competent, are not given enough cases. One of the reasons I began this blog was frustration with the damned-if-you-do-damned-if-you-don't nature of crime coverage in the mainstream media, particularly the time-honored practice of hyping fear to sell papers. If crime goes up, the media shout from the rooftops that the public is in grave danger, "read all about it." When it goes down, they tout the lurid details of the most sensational cases (e.g., the Casey Anthony trial) with little or no context, as Judge Nancy Gertner has effectively argued, and warn that the public doesn't "feel safe" despite the statistics. Such stories inevitably ignore that the media's skewed coverage is one of the greatest contributors to false perceptions about crime. The statistics do suggest a downward trend, said Alex del Carmen, chair of the Department of Criminology and Criminal Justice at the University of Texas at Arlington, but the picture the data provides is incomplete, with little insight into whether citizens feel safe. "When we say crime stats are going down, it could also be that citizens are not reporting crime as much. It could also be that certain types of crimes are moving to other parts of the city or outside of the city," he said. "When we say crime is going down in the city of Houston, it doesn't necessarily mean that citizens in Houston are safer." See how it works? If crime goes up, the media sell papers by hyping fear. But when it's down, we're told that "doesn't necessarily mean that citizens in Houston are safer." I sometimes wonder if there's any statistical result that the press wouldn't use to hype fear of crime. After all, people don't buy papers to read good news. And for TV news, of course, "if it bleeds, it leads." Professor del Carmen's suggestion that the public may not be "reporting crime as much" doesn't jibe with long-term trends from the best available data sources. The two major measures of US crime rates are Uniform Crime Reports (UCR), which reflect crimes actually reported to police, and the National Crime Victimization Survey (NCVS), which is a quite robust survey asking people whether they've been victimized by crime, whether or not it was reported, essentially estimating crime victimization based on a large sample. In general, the NCVS survey has consistently found that about half of all crimes go unreported when compared to the UCR data, a trend which hasn't changed much in recent years. The latest NCVS survey (pdf) found the rate of violent-crime victimization (see the chart on p. 1) has declined by about 75% since 1993, tracking the decline in reported crimes in the UCR. It's true that the most recent NCVS reported a one-year increase in unreported burglaries and thefts. However, since 2002, total property crimes in the NCVS declined by 18% (see Table 4 on p. 4), with the rates of motor vehicle thefts down 45% and other thefts declining 19% over the same period. The rate of household burglaries in the NCVS declined mid-decade nationally, with a slight recent uptick bringing them back to 2002 levels in the most recent report. Still, by any available measure, both reported and unreported crime rates are at or near historic lows in most categories. Murder happens a lot less in real life than on television. There were 636 killings in England and Wales in 2010-11 - that equates to 11.5 for every one million people - or a rate of 0.00115%. The latest series of tongue-in-cheek detective show Midsomer Murders is drawing to a close. The murder rate in the fictional county of Midsomer has been estimated at 32 per million, in excess of the England and Wales figures. In Murder, She Wrote, Jessica Fletcher's sleepy home town of Cabot Cove has a rate of 1,490 murders per million. The kind of "whodunit" type of murder shown on television is not the norm. Shows like Dexter, Wire in the Blood, Cracker, Messiah and even CSI depict serial killers and "stranger" murders generally with a regularity far from reality. "There is a huge fear of stranger murders, which is completely wrong and unrepresentative of real life," says [Crispian Strachan, former chief constable of Northumbria Police and now a tutor at the Cambridge Institute of Criminology]. Detectives like Poirot and Miss Marple solved murders in a much more elegant fashion - often over tea and crumpets. And there were detectives who didn't always trade in murder. Of the first 12 Sherlock Holmes short stories, only three revolve around murders. But now death seems to dominate. A couple of years ago, my father startled me with a question: Are horrific murders and serial killers more common than in the past, or do we just hear about more of them because of the internet, cable news, etc.? I was floored by his perception because both the nation and Texas had witnessed an astonishing decline in murder rates over the prior two decades, but here was an intelligent, well-read lawyer under the impression that violent crime was worse than any time in his memory. In reality, crime rates haven't been as low as they are now since my father's childhood (though no one can explain exactly why). And dear old Dad isn't alone. A 2011 Rasmussen poll found that "More adults than ever report that crime in their community has increased over the past year, and most think the continuing bad economy will cause the crime rate to rise even higher." In reality, though, crime continued to drop after the 2008 recession hit, plummeting to modern lows. So most adults believe something that is demonstrably false - that crime is increasing and the economic downturn made it worse. Crime used to be "news," but now it's treated by the media mainly as entertainment. And as every entertainer knows, "the show must go on." The Houston Chronicle has produced a remarkable interactive feature on Texas exonerees titled "A Human Tragedy," with photos and interviews of 24 Texas exonerees - some famous, others relatively obscure, but all having endured extraordinary and heart-wrenching personal journeys. 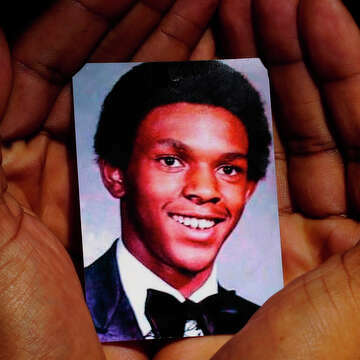 Go here to access interviews with each of them, and here's the feature article accompanying the multimedia project, highlighting the cases of Michael Morton, Tim Cole, Joyce Ann Brown and James Giles. Great work by reporter Tony Freemantle, photographer Billy Smith II, who explained the motivation behind the project in a brief Q&A: "I just felt that the first sound bite when they first get out of court wasn’t enough. We’re trying to figure out how they’re doing, where’s their life going. All of them are different. You have some that want to change the system so that this doesn’t happen to anyone else. But then there are some that move out into the country and, you know, live by themselves and don’t get along with other human beings. I mean they’ve been caged up like an animal and never had any privacy and now they want all the privacy they can get." Fascinating stuff. Kudos to Chronicle editors for putting the project together. Topping the list of potential Texas prison closures is the Dawson State Jail, a high-rise building on the bank of the Trinity River in downtown Dallas. The Texas Tribune reported this week that more than two dozen organizations signed a letter urging legislators to shutter the facility, citing failures in oversight and provision of healthcare. (UTMB provides actual healthcare services at the unit, but an investigative report last year found that staff "did not follow proper procedures by failing to call for help" in a high-profile death case.) In addition, whereas closing the Central Unit took longer than expected to wind down operations, the contract with Corrections Corporation of America to operate Dawson runs out at the end of this fiscal year. So the budget savings would be both more certain and immediate than closing the century-old, state-run Central Unit. No doubt there are other criteria for judging potential prison closures, but Dawson seems to be a likely candidate by almost any measure. At the meeting, Scott Henson, a policy consultant for the Innocence Project and author of the criminal justice blog Grits for Breakfast, cautioned the commission that the arson review only addressed convictions in which someone is currently serving prison time. They did not look at cases in which the convicted arsonist is on parole or probation, or has finished their sentence. In addition, Henson said, many false arson accusations did not enter the criminal justice system, but instead were handled by the Texas Department of Insurance as a part of questions over fire damage claims. So while I agree with Commissioner Kerrigan that the arson review should go a long way toward "restoring public confidence," IMO it would be incorrect to imply that those 6-8 cases are the only ones out there. If there turn out to be six innocence cases out of the 173 prisoners who responded, that'd be a rate of 3.5%. IMO it's probably not correct to apply a larger denominator that includes cases never vetted. That said, IPOT and the state fire marshal have set up a process whereby if more cases are identified in the future, there's now a method for having experts vet them for potential innocence claims, as fire marshal Chris Connealy reminded me outside the meeting room.. Despite Grits' caution about minimizing preliminary numbers, Professor Kerrigan is surely correct that the arson review process will contribute to rebuilding public confidence that was justifiably shaken by the Todd Willingham fiasco. But there's a long way to go before the public can be sure these cases will be justly resolved. Indeed, it remains unclear whether the Court of Criminal Appeals will provide habeas relief based on new scientific evidence; in past opinions, several members of the court have said they shouldn't. Texas is the first state to undertake this sort of comprehensive review of old arson cases and no doubt the participants will learn a great deal as they go through the process, which is only just beginning. In fact, Connealy said other states have expressed interest in copying Texas' process and may launch similar efforts. Wouldn't that be something? Texas Observer: Judge recommends new trial for Ed Graf; see also the Observer's 2009 coverage of the case. Graf's case will be the first time the Texas Court of Criminal Appeals will consider whether a defendant convicted based on junk arson science may be entitled to habeas relief, or at least the first since the whole controversy over the Todd Willingham case brought international attention to the subject. But precedents at the high court are all over the map regarding whether such convictions can be overturned when the science changes or improves, and several judges on the CCA think it shouldn't be allowed. The Texas Legislature this spring will consider a bill (expected to be filed next week) to close that gap in state habeas law to clarify that new, potentially exonerating scientific evidence can provide a basis for post-conviction relief. The measure is one of two recommendations from the Timothy Cole Advisory Panel on Wrongful Convictions that the Legislature has not yet acted upon (the other is to require police to record custodial interrogations). For Graf's sake, and others similarly situated, I hope it passes this time around. This morning Grits is headed to the Forensic Science Commission meeting where they'll hear a presentation on the status of the arson review being conducted by the state fire marshal and my employers at the Innocence Project of Texas. After the politicized brouhaha surrounding the Todd Willingham case, it's a welcome relief to see these topics addressed in a calmer, more thoughtful and systematic fashion. But unless and until the Legislature or the court clarifies that false convictions can be overturned based on new, exonerating science, it's impossible to envision how the end-game will play out, either in Graf's case or others involved in the arson review. The development surfaced as Google publicly announced that more than two-thirds of the user data Google forwards to government agencies across the United States is handed over without a probable-cause warrant. A Google spokesman told Wired that the media giant demands that government agencies — from the locals to the feds — get a probable-cause warrant for content on its e-mail, Google Drive cloud storage and other platforms — despite the Electronic Communications Privacy Act allowing the government to access such customer data without a warrant if it’s stored on Google’s servers for more than 180 days. “Google requires an ECPA search warrant for contents of Gmail and other services based on the Fourth Amendment to the Constitution, which prevents unreasonable search and seizure,” Chris Gaither, a Google spokesman, said. Some of the customer data doled out without a warrant include names listed when creating Gmail accounts, the IP address from where the account was created, and where and what time a user signs in and out of an account. What’s more, Google hands over without warrants the IP address associated with a particular e-mail sent from a Gmail account or used to change the account password, in addition to the non-content portion of e-mail headers such as the “from,” “to” and “date” fields. It was not immediately known whether other ISPs are traveling Google’s path when it comes to demanding probable-cause warrants for all stored content. But Google can seemingly grant more privacy than the four corners of the law allows because there’s been a string of conflicting court opinions on whether warrants are required for data stored on third-party servers longer than 180 days. The Supreme Court has never weighed in on the topic — and the authorities are seemingly abiding by Google’s rules to avoid a high court showdown. Before this recent change, according to the company, "68 percent of the requests Google received from government entities in the U.S. were through subpoenas" with no judicial oversight. This new policy appears to have been installed in the wake of revelations during the Petraeus scandal regarding how frequently, and with shockingly little oversight, Google allowed the FBI comprehensive access to private Gmail accounts. I'm glad to see Google standing up to the government bullies. If mobile phone service carriers would take the same, proactive stance to protect their customers' privacy from government intrusion, then proposed legislation requiring warrants for law enforcement to gather GPS tracking data perhaps wouldn't be necessary. But they won't. So it is. Readers may recall that a US Supreme Court decision last year banned life without parole for juveniles where juries do not have the option to impose other, lesser punishments, a decision which left sentencing in Texas in limbo for 17-year olds charged with capital crimes. As Grits earlier described the situation, "Texas had already eliminated both the death penalty and life without parole for juveniles by the time Miller v. Alabama (pdf) was decided [in 2012], but in Texas offenders are charged as adults once they're 17 years old. The US Supreme Court, though, has now forbade both death penalty and mandatory life-without-parole sentences for defendants under 18 years old. So for someone charged with a capital offense at 17, there are presently no legal punishments available for capital murder under Texas law." Texas law currently provides two penalties for capital murder - death or life imprisonment without parole. Because of a 2005 U.S. Supreme Court ruling that the death penalty for those under 18 years old at the time of the offense is unconstitutional and a 2012 U.S. Supreme Court ruling that a sentence of life without the possibility of parole for a defendant under the age of 18 at the time of the offense is unconstitutional, Moore argued that the state could not pursue a charge under which there is no lawful sentence. The Supreme Court's ruling in Miller v. Alabama was unambiguous: The high court insisted "that sentencing authorities consider the characteristics of a defendant and the details of his offense," giving an option for a lesser sentence if the facts so warrant. The Miller court explicitly held that, "Life without parole 'forswears altogether the rehabilitative ideal' (citation omitted). It reflects 'an irrevocable judgment about [an offender’s] value and place in society,' at odds with a child’s capacity for change." One wonders, though, couldn't the same be said for a mandatory 40-year sentence? Grits recently mentioned a non-capital murder case where an adult defendant was sentenced to 20 years, so clearly for some killers, individual circumstances do matter at sentencing. Make me philosopher-king and I'd change Texas' capital statutes to provide both greater consistency and more sentencing options for juries. In general, recent jurisprudence from SCOTUS strongly implies that our capital statutes are more likely to be deemed constitutional when juries doing the sentencing have wider leeway to choose among punishments. That's why IMO there should be three sentencing options for adults charged with capital murder, not two: Life with the possibility of parole (as was the case prior to 2005), life without parole, and death. Limiting the option only to the latter two is what caused the conundrum Huffman's current bill seeks to fix. If they'd retained the third option back in 2005, there'd be no dilemma for the judge in the Weatherford case, nor any need for her bill. From the Tyler Morning Telegraph: "Judge Kerry Russell reprimanded prosecutors in court this morning because they did not immediately notify Nichols' defense attorney about his weekend arrest. Russell said he would be notifying the State Bar of Texas to investigate the conduct of Jason Parrish and Richard Vance." More than 6 in 10 Americans now favor allowing illegal immigrants to eventually become U.S. citizens, a major increase in support driven by a turnaround in Republicans’ opinions after the 2012 elections. And 59 percent of whites now favor a way for illegal immigrants to gain citizenship, up from 44 percent in August 2010, and 41 percent in September 2009. Overall, the poll found 35 percent strongly favored allowing illegal immigrants to become citizens over time, while 27 percent favored the idea somewhat. Just 35 percent of Americans opposed the approach, with 23 percent strongly opposed and 12 percent somewhat opposed. That compared with 48 percent opposed in 2010 and 50 percent in 2009. By contrast, a fairly robust Texas Tribune poll last fall found that, among Texans, "Most of the respondents — 62 percent — said police should be allowed to inquire about or report the immigration status of people they encounter on the street, including 46 percent who feel strongly about it. Another 31 percent think police should not be permitted to do that." It's possible a similar poll would show opinions have shifted slightly since the election. And at some point, the public surely will begin to recognize the disconnect between portrayals of chaos on the border by the Rick Perrys, Todd Staples and Barry McCaffreys of the world and the reality that the Texas side of the border remains among the safest places in the state. For now, though, given Texas' 2012 election results and the unbridled supremacy of the GOP, emboldened by freshly gerrymandered districts, Grits suspects Texans' views won't have changed as much - though perhaps a little - in the wake of the president's re-election compared to the nation at large. At a minimum, we'll probably see fewer immigrant bashing bills at the Legislature in the near term, which is a good thing. But the underlying opinions of the Republican base almost certainly remain the same. "I have heard many reports from builders who say they can't hire enough people, they can't find subcontractors, they're unable to get the labor necessary to build homes that they do have on order — even at the low level of building that's occurring right now," Crowe says. Many of those laborers went back to their home countries or got jobs elsewhere. "All of that has to be reversed," Crowe says. "That labor has to come back from where it went, or whatever job it found instead." And Crowe says the crash didn't just force construction workers out. It killed lumber-supply companies and stopped raw land from getting prepped for development. As a result, there are fewer companies and fewer workers all up and down the supply chain. And already, Crowe says, the modest level of demand is beginning to push up prices for everything. "We can't get this industry working too fast too quickly, or prices would go out of sight," says Mike Holland, regional president for Marek Brothers, a Houston-based construction firm. many people don't make even the first-round cut of passing drug and criminal checks, let alone bring the skills necessary to do the job. "We have to do background and drug checks on just about everybody," Maly says. "You'd be quite amazed if you knew how many people were disqualified. Sixty percent fail." To review, the homebuilding industry can't find skilled workers because the Obama Administration's immigration crackdown and a slumping economy sent so many "illegal immigrants" back to their home countries. Texas companies would like to hire more US citizens, but few have the needed skills and 60% either fail the urine test or don't survive a criminal background check. So a combination of immigration policy, drug policy and overcriminalization lie at the root of the industry's worker shortage. Governor Perry recently opined that, "Now more than ever our country needs strong leadership from states like Texas, that are making tough decisions to live within their means, keep taxes low and provide opportunities to job creators so their citizens can provide for their families and prosper." The "job creators" quoted by NPR, though, are lamenting that the Texas construction industry's skilled workforce "went back to their home countries" and for the industry to prosper, "That labor has to come back from where it went." Ironic, huh? In 2012, Governor Perry created CJAC by executive order to examine aspects of Texas specialty courts (drug courts, veterans’ courts, family drug courts, etc.) Over the last year, CJAC volunteers have spent countless hours looking at questions of evidence-based best practices, oversight, protection of participants’ rights, the role of court team members, and the need for solid data to measure specialty court efficacy. During this legislative session, the results of CJAC’s work will be presented through a bill authored by Senator Joan Huffman. The bill’s main purposes will be to consolidate the majority of existing specialty court statutes in one place, clarify the requirements that these courts report their existence to the Governor’s Criminal Justice Division (CJD), further define the role of court team members, develop outcome- and evidence-based best practices to serve as guidance for courts, and require the collection of minimal but standardized performance data. Specialty courts only work when judges and other team members have the maximum flexibility to tailor their particular court to fit local needs and resources. A cookie-cutter, one-size-fits-all, governed-from-Austin model of how specialty courts should operate simply won’t work. The original authors of the various specialty court statutes understood this and so do the members of CJAC. Over the last ten years, the number of specialty courts in Texas grew from nine to around 140. This rapid growth and the ability to gather meaningful data have been difficult to track. Legislators, county judges, county commissioners, and all involved need to see if these courts continue to do what they were designed to do: keep people from unnecessarily going deeper into the criminal justice system; restore broken lives; and free up scare space in county jails and state prisons for those truly requiring incarceration. CJD believes the proposed bill will help accomplish those goals. Burnett foresees that, "the next step in specialty court evolution as being the transfer of CJD’s limited oversight of and data collection responsibilities for these courts to another state agency. The where and when will be determined by the Texas Legislature," though offhand one imagines the Office of Court Administration seems like a logical spot. See the rest here. A Polk County district judge is accused of sending text messages from the bench to an assistant district attorney to help bolster the prosecution's case during a trial, according to an investigator's report. State District Judge Elizabeth E. Coker declined to return phone calls to comment on the allegations laid out in a report by Polk County investigator David Wells. Wells was Polk County District Attorney Lee Hon's criminal investigator when he made the report, but he now is a detective with the Angelina County Sheriff's Department. After reviewing the report written five months ago, Hon issued a statement this week saying he had found no communications from Coker that had influenced a trial's outcome. He added that he expects the case to be reviewed by the State Commission on Judicial Conduct for possible ethical violations that could require disciplinary action against the elected judge. Regrettably, this only came to light after the communications were discovered by an outsider - the prosecutors receiving these ex parte messages didn't report the judge on their own. Moreover, it appears to have gone on in other cases. The lead prosecutor, Beverly Armstrong "advised it was not the first time, as [assistant prosecutor Kaycee] Jones is in her ear all the time regarding information she believes to be given her by Judge Coker via text during trial," according to an investigator's report quoted by the paper. Pretty brazen, it seems. Houston attorney Mark Bennett at Defending People claims such behavior is common among Harris County judges, declaring "On more than one occasion I’ve seen Harris County judges coaching prosecutors during breaks in trial." Bennett said he's less surprised at the "underlying contempt for the adversarial process" so much as the use of an "easily documented" means of communication. Experienced judges giving ex parte advice, he seemed to imply, would never leave a paper trail. If the allegations are true, what are the odds the judge and/or the prosecutors involved will be sanctioned? Suggest betting lines for each in the comments. Grits has gotta say, if the federal government must reduce spending, cutting the budget for surveillance blimps to me seems like a good place to start. (Reminds me of the alternate universe from Fringe.) Bellow reports that the contractor sent out an email to its employees, which he reprinted in full, announcing that the Air Force would cease funding for the project as of March 15, 2013. An employee who (understandably) insisted upon anonymity told Bellow that "Without these defense radars, low flying aircraft will go undetected. It will be open season for any drug/gun/slave smugglers, terrorists flying in with nukes, low altitude missiles, or even a full scale low elevation invasion/attack against America.” Uh huh. Those blimps and the Rio Grande were all that stood between us and a "full scale low level invasion/attack," says the anonymous guy who'll lose his job if the contract runs out. Lucky the river's still there. 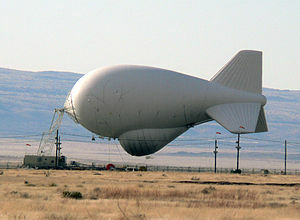 In reality, given the actual nature of border violence and the intense buildup of Border Patrol, customs agents and, often redundantly, the Department of Public Safety, along the Rio Grande, it's laughable to give this contractor's surveillance blimps much credit. One imagines the US Air Force feels perfectly secure they're up to job of stopping a "full scale invasion/attack" from the south without this company's services, since they're the ones who cut them loose. If you do call your Senator or Congressperson, as per Mr. Bellow's request, Grits would suggest telling them, "Support the Air Force's decision and don't spend one more dime on surveillance blimps." Members of the Sheriffs’ Association of Texas met this past week to prepare for battle again with state lawmakers over an issue costing area taxpayers. The contention is blue warrants, which are issued by the Texas Department of Criminal Justice Parole Division. They act as an order to arrest and hold parole violators in county facilities without bail or reimbursement — and therein lies the problem. The biennial battle between county sheriffs and the Texas Legislature centers around counties being required to feed, bed and provide medical treatment for the state’s inmates, often for months at a time. Sheriffs across the state are looking for the 83rd Texas Legislature to pass a bill that would make parole violators eligible for bail or require state reimbursement to counties for their services. “This is the No. 3 issue on our list after mental health and border security,” said Brazos County Sheriff Chris Kirk. 4,104 blue warrant inmates are serving time in county jails. 1,651 of those inmates committed a technical violation. 2,453 blue warrant inmates have new charges pending. 64,302 inmates (including blue warrant offenders) are housed in jails across the state. 6.4 percent of all county inmates are blue warrant inmates. 89 of the state’s 254 counties have no beds available. The Austin Statesman's Mike Ward reported Friday evening ("Over a year after closure, state prison still runs some operations," Jan. 18) that, despite de-funding in the last budget, TDCJ's Central Unit in Sugar Land is not yet fully closed, though the prisoners there were moved to other units. The reasons won't surprise anyone familiar with the Central Unit's history - it was formerly the Imperial Unit, built to provide leased convict labor to the Imperial Sugar Company and one of the facilities at the heart of the agency's agricultural operations in the region, which are extensive. Prison officials say moving out the convicts was the easy part, especially with excess capacity in other prisons. But it’s taken more time to shut down the other operations at the Central Unit, which served as a regional warehousing and distribution point for a variety of goods to keep running the more than two dozen other prisons in the area. Plus, officials said, the lockup farmed various crops on several hundred acres. A new warehouse is being built at the Terrell Unit, down the road to the south, and new agriculture facilities will be added at the Pack Unit near Navasota — at an additional cost of nearly $7.6 million. The final closure date for prison operations at the Central Unit site? Probably in July, officials said, after the new warehouse and the ag operations are complete. When prison operations finally cease, the site is to be turned over to the General Land Office to be sold. “We’re still waiting,” said Land Office spokesman Jim Suydam. While I'd prefer the facility had closed more quickly so the budget savings could be more easily argued, it sounds like the delay won't affect plans to move forward with closing more prison units. "[L]egislative leaders and prison officials agree that additional closures are likely," Ward reported. For my part, the Central Unit's economic role in the prison system's ag business was one of the reasons I favored it as a prime target for closure. Not only was Central's historic role symbolic, breaking it up would end some of the last remaining physical vestiges of the old convict leasing system, replaced to a lesser and far-less brutal extent in the modern era by in-house agricultural operations on the agency's vast real estate holdings. Grits isn't surprised it has taken longer than expected to untangle a century's worth of economic ties wrapped up in the Central Unit's operations, but I'm glad it's happening. In general, criminal-justice economics requires a long view. Prisons take a long time to build and once built cannot be easily de-commissioned. The effects of raising or reducing already-long sentences may not show up in state budgets, in practice, until a decade out, but the failure to make that calculus has been the main reason why Texas prison budgets and populations ballooned. It took Texas four decades to get in the fix we're in and the ship of state turns slowly. A big reason the Central Unit was considered "easy" to close was that the local chamber of commerce crowd wanted the land there opened up for development. A similar dynamic is the main reason why the Dawson State Jail is on the list. It stands on a site where the city of Dallas would like private developers to construct what's been dubbed the "Trinity River Project." Looking strictly at property in a similar position vis a vis real estate development interests, Ward noted back in 2011 that the state might consider more prison closures in Fort Bend County: "a new high school and homes have popped up near the Jester I Unit. A new intermediate school and strip-center have opened just across from the Jester III and IV prisons. Custom homes, some valued at about $1 million, back up to the Vance Unit. Prison cotton fields and livestock sheds now sit alongside for-sale signs along Texas 99 that bisects the former prison farms." OTOH, Huntsville ISD has found its property tax revenue choked off because of vast tax-exempt TDCJ holdings in Walker County. An economic argument could be made for targeted closures and property sell-offs there. Or, the Legislature could consider closing one or more of the rural units having the most trouble maintaining adequate staffing. If legislators decided to consider prison closures beyond Dawson State Jail and the Mineral Wells unit, those might be some of the logical options ripe for consideration, one would think. Just as past Legislatures that approved Texas' prison expansions, authoring an array of new felonies and "enhancements," didn't have to budget the real, long-term costs of their policies at the time they enacted them, the economic benefits of de-incarceration won't be immediate, but in the long-term will be far more significant than just tinkering around the edges of the corrections budget. It’s a welcome message, but it’s not original with Hammond. Former District Attorney Ronnie Earle was delivering that sermon throughout a law enforcement career that spanned three decades. Alternatives to incarceration have been a cause célèbre with liberals for years, arguments about the high cost of staffing and operating prisons gained traction with even the most conservative members of the Texas Legislature. Hammond's message may not be "new" (certainly Grits readers won't find it particularly novel), but messengers matter and among Texas legislators, particularly in the GOP, TAB enjoys a megaphone among both the leadership and newer, conservative members. Grits would dispute Ronnie Earle's contention, though, that TAB has merely copied liberals, a meme which misunderstands what's going on here. Like the Texas Public Policy Foundation, Hammond and Co. have reached similar policy conclusions to liberals on a narrow range of issues, but based on a quite different ideological basis. That's possible in part because much in criminal-justice policy comes down to math and process. The math of overincarceration doesn't work; that's the "earth is round" part that everybody sees. But conservatives differ from liberals like Earle in how they view the process. After all, the "State" in "State v. Smith" is the same government that grassroots conservatives believe can't tie its own shoes in any other facet of public life. What's new here is a growing willingness to apply small-government conservative values to criminal justice, which in the past has sometimes seemed exempt from such critiques. This new trend has perhaps been furthered by the rising use of criminal law to replace traditional tort liability and government regulation. But as a representative of some of the state's largest employers, TAB also cares about Texas having an educated and productive workforce, goals that are sometimes hindered by overcriminalization and a byzantine array of occupational licensing restrictions, which was a central issue the group focused on at their announcement. TAB's entry into the criminal justice realm represents both an example of enlightened self interest and the ascendance of conservative ideology to the furthest reaches of state government activity. There are other dynamics at play that make reform perhaps more likely than in the past. For example, while liberals may tremble at the disapprobation of police unions - a political force which has rebuffed countless reform efforts - to some ideological conservatives they're just another public-employee union at the government trough. And the unions reciprocate their distrust. Last year, the executive director of the Combined Law Enforcement Associations of Texas, John Burpo, referred to grassroots conservatives as the "Forces of Darkness," warning his membership that a "cabal of anti-union, anti-public employee businessmen out of Houston" was out to gut their pensions. The same goes for prosecutors. Last session, the Texas District and County Attorney Association's Shannon Edmonds lamented what he called the "new math" applied by the Tea Party toward prosecutors: "This session's infusion of Tea Party sentiment in the legislative process has affected the standard law and order calculus that we use to gauge the potential fate of various bills. That 'Tea Party sentiment' can be boiled down to this: 'The government is the enemy. You work for the government. Do the math.'" Whether that's actually reflective of "Tea Party sentiment" remains to be seen - I suspect the paranoid comments about "cabals" and "enemies" are overblown calumnies - but that's how the Texas prosecutor and police-union lobbies perceive the state's new wave of conservative legislators. The embrace of criminal-justice reform by ideological conservatives doesn't reflect a conversion to liberal views, as Ronnie Earle contended, so much as a serendipitous alignment of interests, driven partially by facts on the ground and partially by the conservative movement maturing to the point where at least some of its adherents no longer feel threatened when their views may lead to strategic collusion with those who believe differently than them. Legislators take hundreds of votes each session. A mature politician understands that, on any given issue, partisan distinctions may not be determinative, and it's been a great achievement of the Texas Legislature since the GOP took over that criminal-justice issues can frequently be approached in a bipartisan, fact-driven fashion, as evidenced by evolving positions in the business community regarding incarceration, its costs and consequences. RELATED: "Six Impossible Things': Do you believe in a conservative, rational and smaller corrections budget?" While we don't yet know who will chair or populate the various Texas House committees related to criminal justice, Lt. Gov. Dewhurst announced Senate committee assignments (pdf) on Friday, including the Senate Criminal Justice Committee. Dewhurst had already announced the Chairs. Senator John Whitmire will remain Criminal Justice Chair, but his week was not without some extracurricular turmoil. Following a series of mostly hagiographic remembrances from his colleagues on the Senate floor, Jay Root at the Texas Tribune rewarded the chairman for his forty years of public service with a searing journalistic colonoscopy titled, "For Dean of Senate: Public and Private Blur." It's a fascinating if unsympathetic account of one of the most powerful Texas politicians governing the criminal justice system, and a fine piece of historical journalism. The capitol crowd lapped it up, then everybody asked themselves, "Is there anybody in that district who could beat him in an election?" Then they all shrugged and got back to work because for now, John Whitmire's not going anywhere and his committee still has a vast, overinflated criminal-justice system to run, and perhaps reform. Just this month in Austin, the state’s muscular Texas Association of Business joined the conservative think tank Texas Public Policy Foundation in advocating for less expensive and more effective approaches than incarceration for small amounts of illicit drugs. On the other side of the political spectrum, a new report from the Texas Criminal Justice Coalition clarified how much these prison-for-possession cases are costing taxpayers: $700,000 a day, just for those sent to state lockups in 2011.
the Legislature should address penalties for the lower-level drug crimes, such as possessing an ounce or less of marijuana. That is now a Class B misdemeanor, punishable by a $2,000 fine and 180 days in jail. Under a bill by Rep. Harold Dutton, D-Houston, the offense would be reclassified as a Class C misdemeanor, which typically brings no jail time and a fine of up to $500. Repeat offenders would be subject to Class B penalties. This bill is the way Texas drug laws should be headed. For one, it makes financial sense, since jail time soaks up tax dollars and courts are obligated to furnish an attorney to indigent defendants charged with Class B misdemeanors. In 2007, lawmakers tried to cut the number of drug-possession and other nonviolent defendants in county jails by dropping the requirement that they be arrested and held for trial. But many cities and counties have not exercised the option to write summonses for low-level drug suspects and continue to book them into jails. Once there, many poor young people won’t make bail and are often headed to a life in the criminal justice system. Given that experience, I've believed for while that, if given the chance, Texas' Republican majority, at least in the House, would likely support lowering the penalty categories for low-level pot possession. There are so many new members who've arrived since then that Grits doesn't have as good a sense of what a final head count might look like. (State Rep. Debbie Riddle is the only member remaining from that unanimous committee vote.) But with the Texas Association of Business and the Texas Public Policy Foundation providing conservative ideological cover and a different Speaker in power, the 83rd Texas Legislature would be an excellent time to find out. Recommendation 1: Amend statute to establish a sentencing commission to review Texas sentencing laws comprehensively to align penalties with offenses, modernize laws, and study statewide sentencing dynamics every ten years. Recommendation 2: Include a contingency rider in the 2014–15 General Appropriations Bill to appropriate $1.15 million in General Revenue Funds to operate a sentencing commission and implement a statewide sentencing dynamics study. Although the Texas Legislature modifies provisions of the Texas Penal Code every biennium, the last comprehensive review of the code occurred 20 years ago. It resulted in removal of some obsolete offenses and adjustments in punishment for other off enses. However, some of the Punishment Standards Commission’s recommendations resulted in longer sentences and longer probation terms for some offenses. Longer sentences contribute to growing system costs, and there has been no thorough review of sentencing laws since then to adjust for these increased costs. Sentencing policies affect sentence lengths and prison admissions, which affect prison populations. Any changes in these factors can have a significant effect on available criminal justice resources. Despite modest prison population decreases, costs to incarcerate offenders continue to increase steadily from $2.0 billion to $2.5 billion from fiscal years 2007 to 2013. Recommendations made by sentencing commissions in other states have resulted in significant savings and prison population decreases. Texas lacks a process to assess sentencing practices and may be foregoing savings and other efficiencies that may be achieved through sentencing reform. LBB's report laments a trend Grits has described before in some detail: The eye-popping expansion of prison inmates in Texas compared to general population growth in recent decades. "The correctional institution count of approximately 14,000 prisoners in 1970 has increased to more than 152,000 in fiscal year 2012, a 963 percent increase during the past 40 years. The Texas population increased at a significantly lower rate of 125 percent in the same period." Citing the Vera Institute of Justice, the report asserts that, "growth in prison populations during the past several decades is not due to increased crime, but to sentencing policies that have increased the number of offenses resulting in incarceration, the length of sentences, and the length of probation." Sentencing commissions have addressed costs through recommendations often characterized as getting “smart on crime.” For example, in Alabama, based on recommendations from the state’s sentencing commission, the Legislature authorized increases in the number of community corrections programs by nearly 80 percent from fiscal years 2003 to 2008. The state estimated that placing offenders in prison, rather than community corrections, would have cost the state more than $23.0 million in operation costs in fiscal year 2008, rather than the $6.1 million appropriated for community corrections that year. Similarly, in 2003, Kansas passed legislation providing for alternative sentencing policies for non-violent drug possession offenders. The Kansas Sentencing Commission operates the program, which requires first and second-time low-level drug offenders to be sentenced to community corrections intensive supervision instead of being sentenced to prison. Since its implementation, the Kansas program has grown to serve approximately 1,400 offenders per year that otherwise would have received less treatment and supervision. Often sentencing commissions recommend enhancing penalties for some crimes, while minimizing others. In November 2009, for example, the Colorado Commission on Criminal and Juvenile Justice recommended increasing the allowable amount of marijuana (from one ounce to four ounces) that can be possessed and qualify as a petty offense. In the same report, the commission also recommended re-categorizing the level for the first felony offense of selling marijuana to a minor. The recategorization resulted in an increased penalty. Another notable example of a comprehensive sentencing commission is that of South Carolina. Established by legislation in 2008, the commission worked closely with the Pew Charitable Trusts’ Center on the States. Pew’s Public Safety Performance Project is well respected by states working to review their criminal justice systems. In February 2010, the sentencing commission made recommendations to the South Carolina Legislature, which were overwhelmingly approved and implemented that summer. The legislation required a comprehensive review of the state’s laws relating to sentencing and parole policies. Significant changes enacted include: expanding the list of violent crimes, creating an attempted murder offense, and requiring drug offenders to pay drug-treatment court fees. At the same time, the new laws reduced the penalty for non-violent burglary, expanded probation options for first and second-time drug possession offenders, and established good behavior incentives for those on supervision. Additionally, the legislation established an oversight committee to monitor implementation and to report on the amount of cost savings, of which 35 percent would be transferred from prisons to probation and parole operations. In its report, the commission anticipated helping the state avoid $317.0 million in new prison construction and save $92.0 million in prison operating costs over the next five years due to a reduction in the number offenders being incarcerated. enhance consistency and reduce disparity in sentencing. Grits applauds the idea of a sentencing commission to fulfill those described purposes, but I wonder at the wisdom of making it permanent and can see good arguments on both sides of the question. On one hand, every session the Legislature creates dozens of new crimes and penalty enhancements, so perhaps a permanent sentencing commission would help rein in that ill-conceived legislative habit. At a minimum, perhaps the additional data they'd be authorized to gather would provide more accurate assessments of the costs of penalty enhancements, which LBB's budget estimators generally claim, contrary to reason and common sense, may be approved by the Lege with no additional cost to the taxpayers. Best case: It could provide institutional support for continuing and expanding de-incarceration initiatives begun in 2007, which made a good start at reducing incarceration pressures but plateaued instead of expanding in the following two biennia. On the other hand, a permanent sentencing commission at the federal level has worsened the problems the LBB proposal aims to resolve, enhancing "consistency" and reducing "disparity" by boosting sentences and associated costs instead of moderating the most extreme sentences. Federal judges routinely grouse about mandatory minimums and harsh sentencing guidelines that they feel force them to hand down unjust sentences. Still, at this historical juncture the state could seriously use the sort of comprehensive evaluation LBB called for in these recommendations, and in the near term it's a good idea. Members of the Legislative Budget Board are appointees of the Governor, the Lt. Governor and the Speaker and their proposals frequently end up rolled into legislation that enjoys the blessing of the leadership. That doesn't ensure its passage, of course, but one can expect the suggestion at a minimum to be seriously considered. 1. The legislature should require training for teachers and campus law enforcement in behavior management techniques. 2. The legislature should allow for an age to identify what students may be issue citations, not a grade level. 3. The legislature should remove the option of issuing citations for education code violations. These disciplinary [cases] should be addressed through a graduated sanctions model. 4. The legislature should include more discretion in zero tolerance policy. 5. The legislature should amend current statutes to create a consequence for districts that have not complied with implementing truancy prevention programs. 6. The legislature should require complainants to use sworn statement procedures rather than relying on law enforcement officers to issue citations. 7. The legislature should require [campus] law enforcement to report to a superintendent rather than a designee. More soon on some of the other recommendations from the report. U.S. Customs and Border Protection (CBP) data indicate that arrests of CBP employees for corruption-related activities since fiscal years 2005 account for less than 1 percent of CBP’s entire workforce per fiscal year. The majority of arrests of CBP employees were related to misconduct. There were 2,170 reported incidents of arrests for acts of misconduct such as domestic violence or driving under the influence from fiscal year 2005 through fiscal year 2012, and a total of 144 current or former CBP employees were arrested or indicted for corruption-related activities, such as the smuggling of aliens and drugs, of whom 125 have been convicted as of October 2012. Further, the majority of allegations against CBP employees since fiscal year 2006 occurred at locations along the southwest border. CBP officials have stated that they are concerned about the negative impact that these cases have on agencywide integrity. See related MSM coverage from Fox News, "Study finds corruption on rise among border agents, rep says security at risk," which included this tidbit from Texas Congressman Mike McCaul: "In fiscal year 2011 alone, the DHS Inspector General received almost 900 allegations of corruption from within CBP and ICE." Though unrelated to the Customs service, the corruption angle provides an opportunity to link to a remarkable story from the Houston Chronicle about a Houston PD cop caught laundering cartel drug money: "Ex-HPD officer faces 25 years for running drug money."